What features in PPT will save me time? Microsoft PowerPoint 2010 simplifies traditional features and opens up a whole new vista for creating, saving, sharing, printing and publishing dynamic presentations within a few minutes. How is it better than the earlier PPT version? PowerPoint 2010 has easy-to-navigate menus, large icons and more editing options. Its new features and high-tech functions are simpler, quicker and stress-free, requiring less effort and minimal time compared to earlier versions. 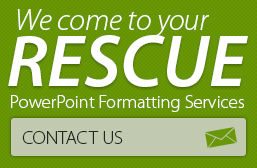 Is PowerPoint 2010 useful for consultants? It is designed to work well with amateurs and professionals alike, but is best suited for business consultants because there is greater user control over menus, with no need to mess around. This is one of the greatest improvements in PowerPoint 2010. 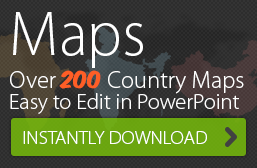 Shapes and maps can be easily formatted or cropped with less than three clicks. There is also a wide range of preset color schemes and fantastic gradient options. Users can add up to 10 colors in a gradient and adjust its transparency, brightness and position. The SmartArt illustrations in PowerPoint 2010 make it easier to edit graphics, modify color, add effects and change organization charts. The new background removal tool allows you to insert an editable image and remove its background with a simple click. Which is the best time-saving option? In our opinion, there are two – the new Combine Shapes feature and the Movie Trimming capabilities. The former allows you to create complex shapes by combining multiple ones while the latter makes it easier to incorporate video in presentations without using Flash. You bet. The only drawback is adjusting to the change in the menu tab format. Some users, who are used to working with toolbars, take more time to adjust to the new tab look.